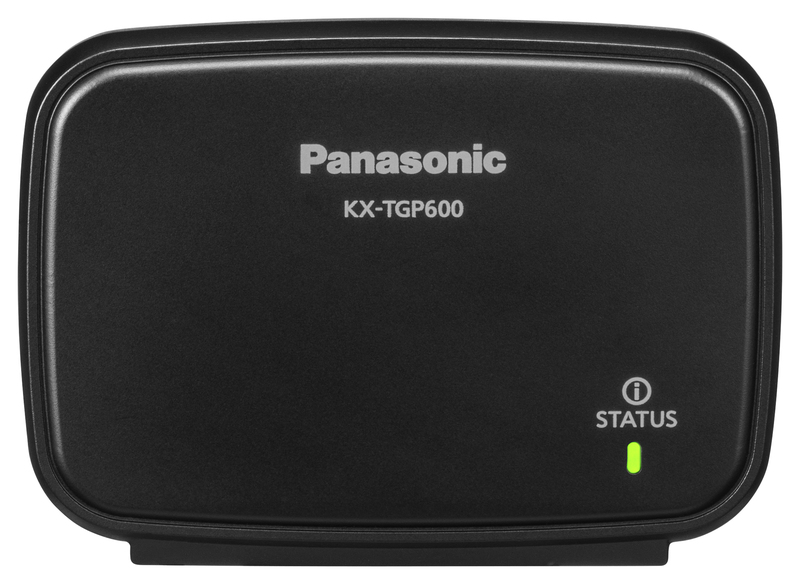 The KX-TGP600 is remarkably easy to set up and manage. Its provisioning function enables remote configuration settings and handset management. Users can choose from two maintenance methods – local management with a the base unit, or service provider management. Users can connect as many as eight DECT wireless handsets to the system. With the ability to use up to eight outside SIP lines simultaneously, customer service becomes more efficient, and the cost and effort of installing and managing separate outside lines are removed completely. Similarly, the system allows users to have up to eight distinct phone numbers. A noise-reduction function reduces surrounding noise and enhances the clarity of the call at the press of a button. 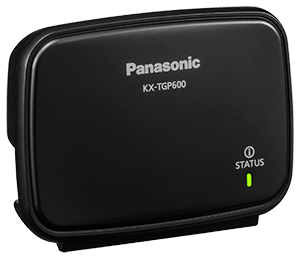 The KX-TGP600 also automatically adjusts the receiver volume to an easy-to-hear level if the user moves from a quiet area to somewhere noisier. The combination of quality, reliability, ease and flexibility add up to a significant reduction in the overall cost of ownership of the KX-TGP600. Add this to a low initial cost and you have a system that offers far greater return on the user’s investment over the lifetime of the technology. There are a wide variety of handsets which are compatible with the KX-TGP600. 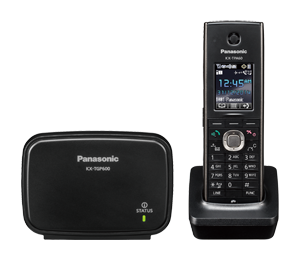 Among those is the KX-TPA60 DECT wireless handset, offering a 1.8” colour LCD with backlight, HD wideband audio (G.722) and 500 phone book address/20 last dialled number memory. 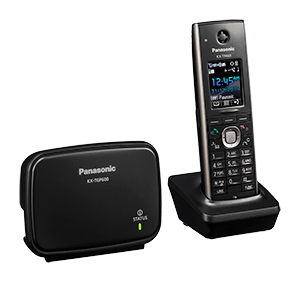 There’s also the KX-TPA65 wireless desk phone, which offers a significant advantage over ‘traditional’ desk phones, as its DECT capabilities mean no additional cabling is required when the system is being installed. The coverage area of the base unit is approximately 300m outdoors and 50m indoors, depending on the environment. Because some users require greater coverage, the system can include an optional repeater, which can expand the practical communication are up to a maximum of around 200m indoors.